It's not everyday your best friend launches her own MAGAZINE! 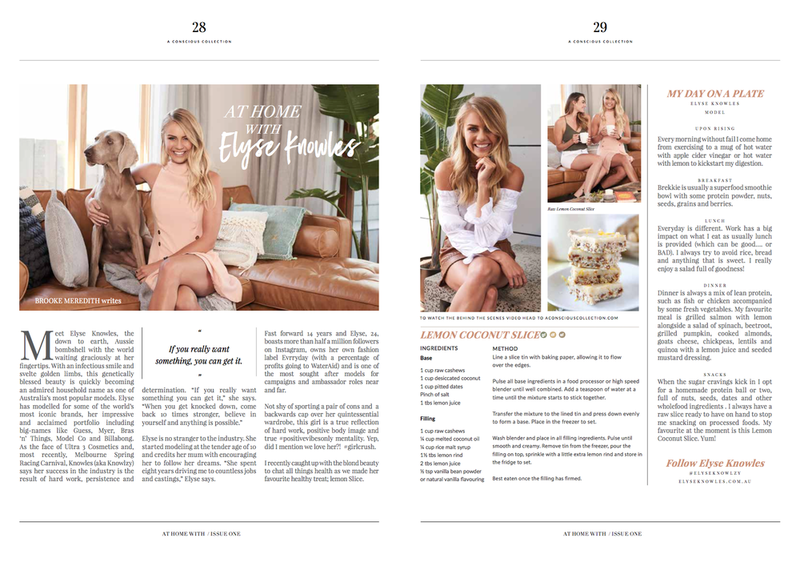 My gal Brooke (@brookiechook) has recently turned her well known blog, "A Conscious Collection" (@aconciouscollection) into a broadsheet magazine! There are so many amazing things about her magazine but the best thing of all is that it is FREE!!! Like me, Brooke is a huge believer in "your body is your temple"! In an effort to motivate people to get heathy, she's decided to dedicate even more of her time & her knowledge into teaching the world that with a bit of extra knowledge & effort you can easily introduce some healthy habits into your day & your diet to improve your insides, your energy levels, your skin & your mental state. Everything & anything can be made a little bit healthier, but you have to know the tricks! Brooke is actually a self confessed choc-a-holic! But she's discovered a heap of guilt free ways of making sure her love can of choccy can continue WITHOUT all the naughties that come with it. The crazy girl has now even dedicated a WHOLE ENTIRE book to healthy chocolate recipes "ACC Chocaholics E-Book! Choc lovers can get a copy here (a good idea for Christmas pressies too). So, if you can make chocolate healthy, you can make anything healthy! So girls & guys, make sure get your own copy of A Conscious Collection ASAP! You can check out my interview with Brooke (below) plus many more amazing tips & tricks to keep you all in shape from the inside out throughout the silly season! Remember people, all in moderation!! And don't slack off just because it's almost Christmas time. Rest & relax for sure (and indulge a little more than usual) BUT I promise that food & all of the Christmas treats will taste SO much better if you know you've earned it with a killer workout!